There are two types of people. Those who love stepping foot in a beauty shop. And those who don’t. Not because you don’t like shopping or anything. No. Just because the moment you enter the shop, it’s like Disneyland for beauty and you don’t know what to pick. So you stay ages walking around. Before finding what you want. Or you have another alternative. You go online, have a browse, spot a few things you want and then, head over to the shop. Believe me, it makes everything so much easier. 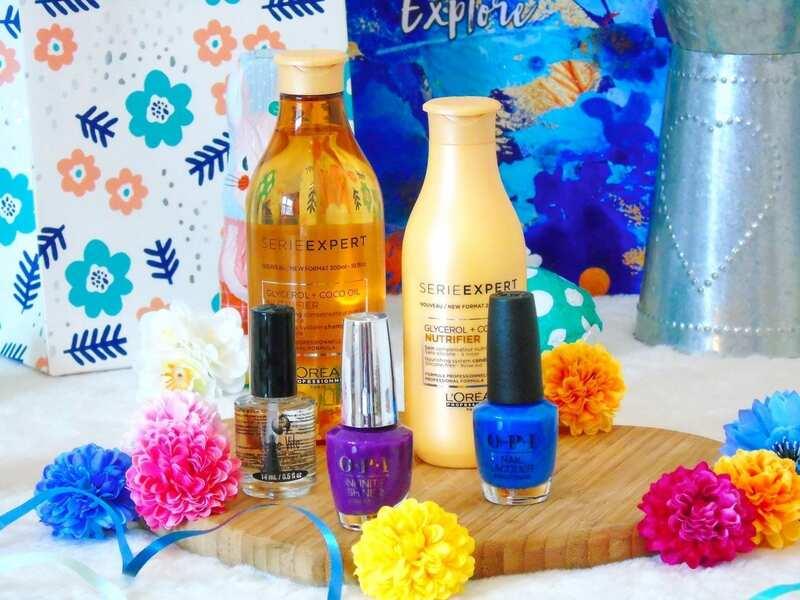 So when Sally Beauty UK got in touch to offer me just that, well I could not say no, could I? First of all, a few words about Sally Beauty UK. They are the world’s largest supplier of professional quality beauty products and have one of the most extensive ranges of beauty and hair care products in the UK. Sally sells to both consumers and professional customers – including hair stylists and hair, nail and skin salon owners. They store over 5000 professional products and their top selling brands include Maria Nila, Sugarbear hair, GHD, Tigi Hair, OPI, Lord & Berry, Sienna X, Wella Professional, L’Oreal Professional. Sally Beauty UK gifted me a £50 gift card to spend in store on beauty as part of their Spring Into Beauty campaign. That’s not the best part, but wait. I went in store last week with Laura, my former flatmate from Glasgow. Let me tell you what I laid my eyes on. Spring is finally here even though we don’t really feel it, and I had not updated my nail polish collection in ages. I am also going to Tuscany in April so I need everything to be perfect. Choosing between all the fabulous nail polish colors was so hard but I managed to make a choice: OPI Infinite Shine Gel Effect Nail Lacquer in Purpletual Emotion (which Laura also had a crush one and treated herself to) and OPI Lisbon Collection Nail Lacquer Tile Art to Warm Your Heart Blue. And because a manicure would not be perfect without topcoat, I choose, on Laura’s recommendation, the Sèche Vite Dry Fast Top Coat. 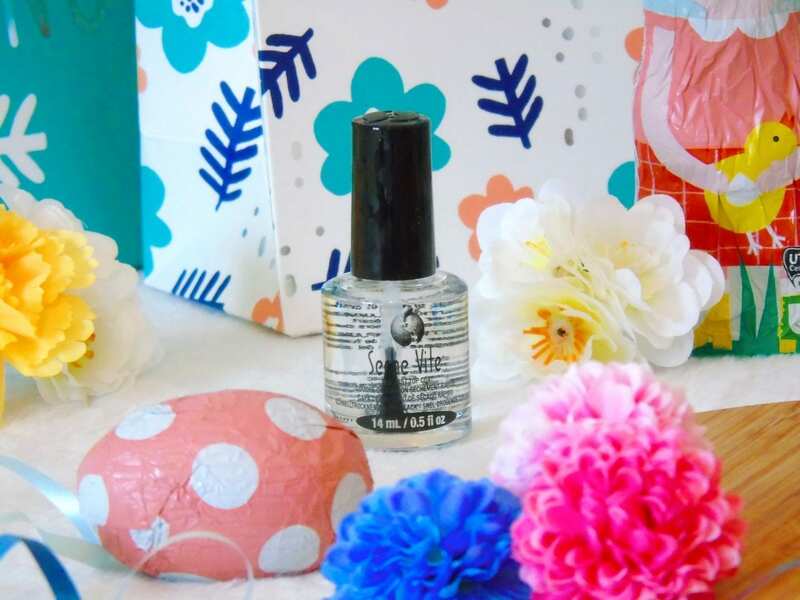 The best one to keep your nails perfect even though you might be doing the dishes! What she said. Last but not least, the two other picks of my haul are a shampoo and a conditioner. Mine was running out so I needed to buy some anyway. It was just the perfect timing. I went for the Glycerol + Coco Oil Nutrifier range from L’Oréal Professionnel Paris which I think is only available in stores for now. The range aims to repair damaged hair, which is perfect for me, really. I am the worst when it comes to hair care. I think I have all I need for quite some time. Indeed, the beauty box will have me covered for a few months! And all that for free! If I were you, I’d start making a wishlist right now because stocks won’t last long! So here is for the beauty haul. I have not done one in ages. Those who have been following me for a while know how minimal I am with makeup. So good thing that the beauty box has such a varied content. They also are products that I had never tried before for the biggest part and I was always curious about, so I think that again, it is the occasion! Go have a browse on their website, or have a look on their Instagram. Did you know about Sally Beauty UK before? If yes, have you ever shopped in store or on their website? What did you think? I think it is pretty easy to reach £50 when it comes to beauty, so really, getting that beauty box is super worth it. Do you think it is a good bargain? *All the products featured in this post have been gifted to me but all opinions remain my own. I’ve been in their store before, usually when I need new straighteners or curlers! 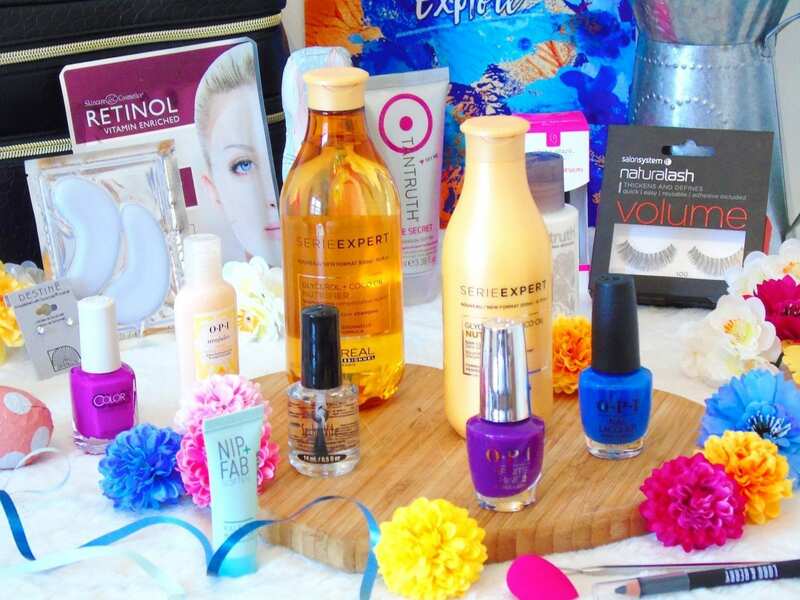 But that is an incredible haul and I love the nail varnish colours. I’ve been to Sally’s before but only a few times and for hair stuff, I’ve never thought to check out their beauty stuff. I might have to go in and have a look! You got quite a lot for your money which is always good. And your photography is beautiful! That is such a good deal! I love beauty boxes! I haven’t bought anything from Sally’s in forever, I’ll definitely have to have a look at what they have soon! 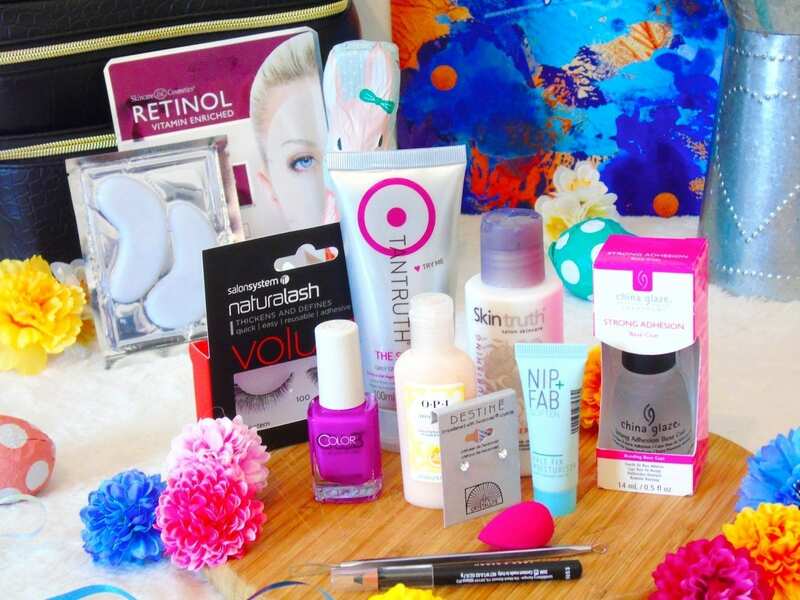 Oh wow the free beauty box looks incredible! I’m so tempted to go do myself an order now haha, what a bargain! 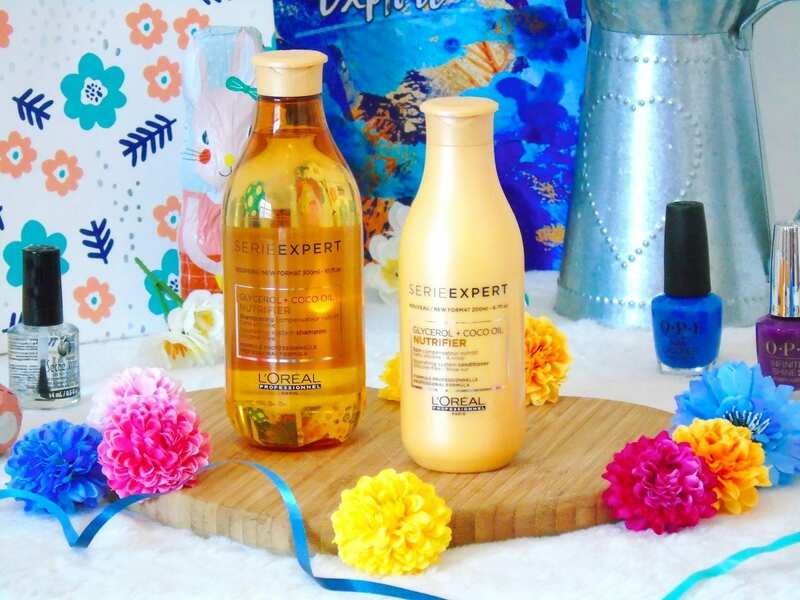 The L’oreal hair products look gorgeous too, my hair is always in need of hydration! Great choices! I love those nail polishes. I’ll have to give the products a try. Thanks for sharing. I didn’t know about Sally UK! Everything looks lovely! Sally beauty is my go-to! I can find everything I need for super cheap! OMG, yes shopping for beauty products is like Disneyland for me! Totally agree. I was wondering if they sell Sally Beauty in the USA. great post! What a haul! I love that blue OPI nail polish shade. I’ve been after a blue exactly like that but they’re so hard to come across. 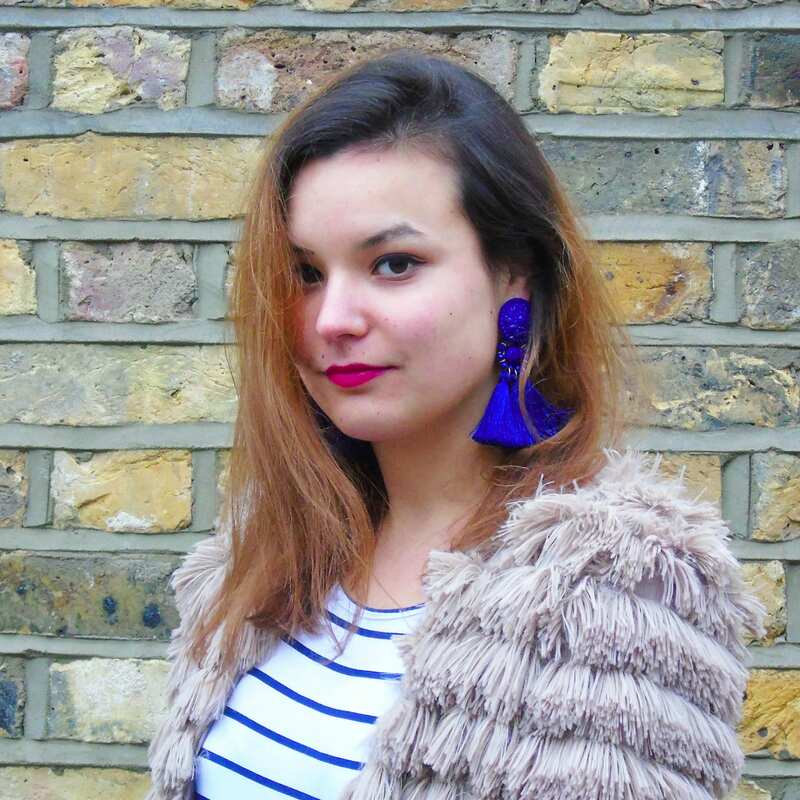 I love the bright colours in these photos – so much Spring! You got some great things. The coco oil sounds so good. I love how colourful everything is! It would be really exciting receiving a box like this 🙂 I’ve never heard of Sally Beauty but will certainly be checking it out! I really love Sally Beauty. I could spend soooo long in their stores here. Your photos are stunning and the colours are amazing! Defo ready for spring! All of that for £50!?!? That’s amazing! Oh my goodness!! SO MANY PRODUCTS! this is amazing! I’m definitely one of those people that wanders, not sure what to buy, I’m completely useless. Those OPI colours are absolutely stunning, I need them immediately. I’d never heard of Sally Beauty but it sounds amazing, and so worth it! What BEAUTIFUL photos! I really want to try the retinol face mask. In fact, I want to try everything, lol. I’ll have to see if I can find this brand here in GA. I love those nail colors. So bold and pretty for my nails. Ah those are all such great goodies! Love those nail polish colors! Ooh I went to Sally’s years ago when my friend was doing hair and beauty at college! I went crazy buying everything I could get my hands on! Love your haul! OK I think I’m officially obsessed with that blue nail polish! How much fun is that! I’ve been using nail colors since I am in high school and I am totally addicted to it lol. 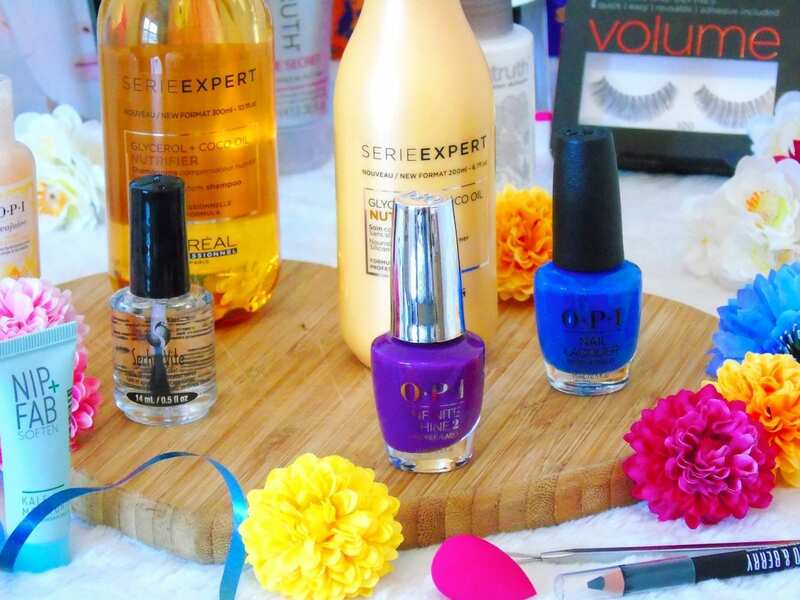 I use the same OPI Nail polish Its my favorite brand. I love all their different nail colors. Sally beauty is a new brand to me but they seem to have some truly incredible items. I need to check them out for sure. I’ve never bought anything from Sally Beauty before! And l can’t believe if you spend £50 you get a box of products worth around £70. Also since when is L’Oreal shampoo and conditioner a thing?! Definitely need to try that out. Great post Corinne! I really enjoyed reading this. That blue nail polish should be mine. Looks so great, I want it. I have to check this brand out, it’s the first time I’m hearing about it. Sally’s always has so many amazing products to offer. I definitely could check them out for hours if I had the time to see what all is there. That blue nail polish looks amazing. I am going to have to go get myself some! You got a lot of great products in your haul. I’ve always loved OPI and the colors you picked are fun and pretty! I think these products are all worth getting, but I’m curious about the L’Oreal hair care products, I could use those! Really love the polish choices you made! Looks like a very successful haul to me! Absolutely love the gift box! Such a good deal. I’m also slightly obsessed with the Purpletual Emotion nail polish. I love all of these. I love shopping at Sally’s and it looks like you got a lot! OPI nail polish is one of my weaknesses. I love grabbing two at a time — they’re a bit expensive here in South Florida. I love this haul! Sally’s is a cool place to get stuff like this. Thanks for sharing. Wow so many goodies! I love those nail polish colours, they are perfect for spring! I’m one who gets super overwhelmed in the store so I think the whole online option would be fantastic for me! What a great deal! Who doesn’t love free stuff?! I love going to Sally Beauty, and I feel like they get overlooked in favor of Ulta, etc, but I love their selection of nail polishes, and the hair care items that aren’t sold anywhere else. 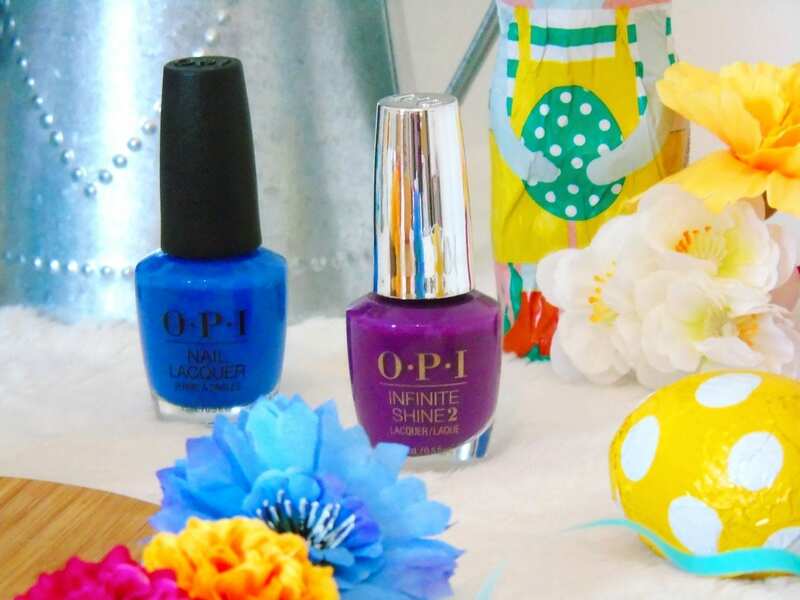 Ooh my… I love this brand, I am so into OPI polish – most definitely with the purple, it deceives most of my friends thinking I was wearing a gel polish. Sally look like a great beauty product company. It’s just a one shop destination for minimalists. I also love the nail polish colors – blue and purple are a great combination. OMG, so many goodies in here! I will let my wife know. I can even buy something like this for her upcoming birthday; thanks for the ideas! I bet my kids would prefer I browse online before going to the store. I like to feel the products in my hands though. So many awesome products! Sally Beauty is great! So many goodies here. I see a few I haven’t tried yet that I will have to check out. Omg so many good products here! Love all things OPI!!! Those nail polishes look cute! You’re lucky to have a gift card. Honestly, I prefer looking at beauty products online than going straight to a beauty shop. I get intimidated by sales ladies. Hehe. I love going to Sally beauty! They have such great products there. OPI is one of my favorites. I want to try that coco oil conditioner. It sounds really good for my hair.